Henry Bessemer (1813-1898). 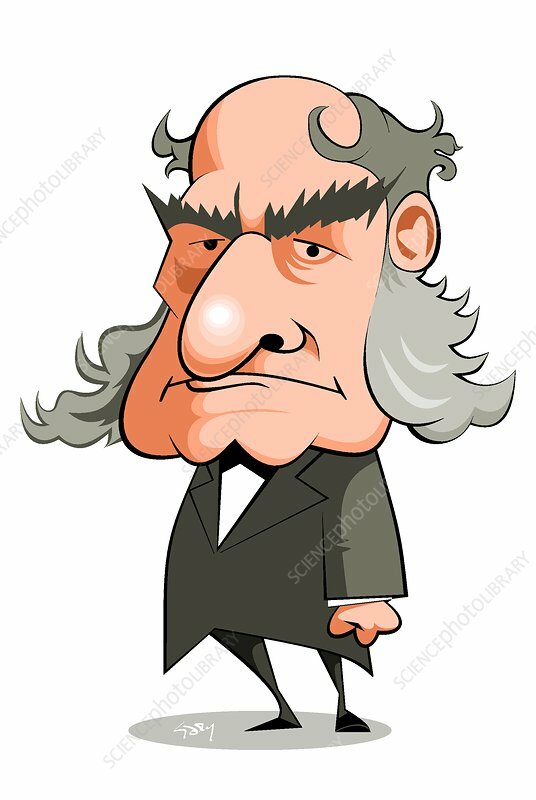 Caricature of the British metallurgist Sir Henry Bessemer. Bessemer is best known for developing a process for the mass production of steel. He developed his 'converter', in which impurities were removed from iron, then controlled amounts of carbon added to make the desired grade of steel. Particularly important was the use of a calcium carbonate lining to the converter, used to remove the phosphorus found in European iron ore that made steel brittle. Although his original motivation was to produce steel for armaments, the process allowed steel to be made for railroads and large civil engineering projects. Bessemer was knighted in 1879.